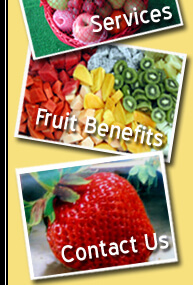 Savor Healthy Fruits at EFresh Fruit! 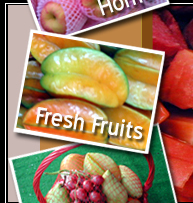 Hock Hoe Hin Pte Ltd is a leading Fruit wholesaler based in Singapore. The watermelon supplier Singapore wholesale came into operation on 1970. It is touted as one of the authentic and genuine suppliers of fresh fruits across the city of Singapore. The primary objective of Hock Hoe Hin Pte Ltd is to deliver superior quality fruits catering to the customer’s expectations at unmatchable rates. Hock Hoe Hin Pte Ltd specialized in importing fresh tropical fruits such as mangoes, chempedak, soursop and mangosteen from Asian countries like Malaysia, China, Taiwan, Indonesia and Thailand and Vietnam. The company who has gained more than thirty years of experience was incorporated to serve the local residents of Singapore. Some of their clients are from Supermarkets, catering service, offices, educational institutions, restaurants, community hubs and nursing home centers as well. The office fresh fruit programme came about when the Singapore Government introduced a health awareness program. It was launched with an objective to encourage the employees of their organization to consume fresh fruits such as orange, mangoes, apples and pears to stay physically fit and healthy. Watermelon supplier Singapore wholesale aims at enhancing the overall productivity and the self-esteem of their staffs through this program. Consuming healthy fresh fruits would help in assisting similar Singapore companies to increase the annual turnover. They strongly believe that it is a viable option that confirms their concern towards their employees and ensure they stay healthy in the long run. Pamper your palette by ordering fresh fruits through official website of Hock Hoe Hin Pte Ltd. The internal team delivers packaged fresh fruits at the customer’s doorstep. The Hock Hoe Hin Pte Ltd is striving hard to promote a healthy life-style by consuming nutritious eating habits. Majority of the people stick to fast-food items including processed packaged items. The intense desire to consume such type of food might lead to development of stress and enhanced calorie levels. Fast foods contain a higher percentage of sugar, fat and salt that could stimulate the blood sugar levels. A variation in the level of blood sugar causes fatigue, ailments like hyperglycemia, lack of concentration etc. It is often due to excessive consumption of junk foods. The fact is that one should effectively maintain a balance between consumption of snacks and nutritious diets. A bunch of assorted sliced fruits is a good option. Today most of the organizations including community centers and even restaurants are taking advantage of services rendered by Hock Hoe Hin Pte Ltd. The Cut fruits arrive in the form of packed fruit boxes, assorted fruits baskets and even fruit hampers.People who are scouting for a genuine and trusted supplier of fresh fruits should definitely visit the official website of Hock Hoe Hin Pte Ltd and place their orders online today itself.